It can be scary and painful to see the truth of the moment as it is. But many of us have been learning how to do this in our personal evolution as awakening human beings. We’ve been learning how to work with fear. How to sit with grief, shame and guilt. We’ve learned that by doing this, we can then release the wounds, the traumas and historical pain and free ourselves from the past – our own past, and the past of our ancestors. What’s this got to do with Climate Change? Everything. Our willingness to face into pain and suffering is paramount if we are going to respond to climate change with wisdom and power. In the coming decades we are faced with unprecedented change that we have little or no control over. It’s going to impact every system in our civilisation – transport, food, power, water, politics – everything. In some parts of the world, this change is already happening. Usually in poor countries, populated by people of colour, which doesn’t seem to make the mainstream media as much. In countries like New Zealand, Australia, Canada and the United States, we are more insulated from catastrophic weather events. But they are happening here too. What I see is very few people, so far, daring to read the science, study the reports, contemplate the implications, and take action now. And of course! I mean, if it’s not having a direct impact on your life right now, why bother? Especially as reading the science, studying the reports and contemplating the implications can be overwhelming and scary. C) Someone else is going to take care of it. But eco-sphere devastation it’s not a myth. It is happening. And it’s US who needs to take care of it – ALL OF US. This is the part when it becomes really useful to be able to sit with challenging emotions, to feel the fear and to stay connected to one’s centre and wisdom, so it’s possible to act from this place. This is when all the work that the conscious community could pay off collectively. The conscious community values embodiment, intuition, wisdom, heart-centered presence, relationships, care and love. All of which we will need in spades as the world changes, fast. We need this so we don’t degenerate into fear and exclusion and instead focus on leaving no one behind, no matter their colour, race, religion or country. This process begins like any process begins, with awareness. We need to be aware of what is happening now, so that we can begin to feel into the needed response. The trouble is, our Conditioned Minds run all kinds of programmes which hold us back from feeling the deep awareness of what is happening now. We don’t even realise that these programmes are running – we don’t notice that we look away from articles on climate change, habitat destruction and species extinction without reading, without seeing, without wanting to read and see. Our Conditioned Minds instead like to distract us with rationalising and arguments. We waste time and energy on debating IF climate change is a thing at all. But it doesn’t matter – whether climate change is happening or not, whether human beings have caused it or not – this doesn’t even matter. Because when you look at the planet, it’s clear that destruction of nature is happening on a huge scale. And that destruction – man-made or not – is unsustainable. In short, we are headed for extinction. If we, human beings, continue to consume and destroy at the current pace, we are finished in our current form. It will likely happen within our lifetimes. And, not just us, but countless other living beings – it is their homes that we are destroying too. Does that scare you? Do you want to argue against it? Resist it? Notice that – notice what your Mind is doing right now. And choose not to believe it, if just for a moment. Instead, I want you to run a thought experiment for me. Can you do that? Play along? Experiment? And what’s under that feeling? Is there anything under that feeling? Have you got what it takes to sit in ALL those feelings? If humanity is on a trajectory towards extinction… who would you like to be in the face of that? This is what I’m exploring right now. Because now that I’ve sorted out my personal life and healed from psychosis – using my power and energy to build a personal empire holds zero appeal. Because what for? Why build a personal empire when Rome is burning? Because while all of this is Very Serious, there’s no reason why we can’t dance and play and enjoy transitioning our world to a society that loves and cares for every living being as if it were sacred. Instead, I’m feeling into how to be an agent for change… an agent to birth the new earth, an agent to make the transition from a consumer society to a regenerative society as smooth as possible, and as fun as possible. Because it is – life IS sacred. And if we don’t start treating it as so… we’re screwed. And it would serve us right. So that’s my mission now – to educate myself, to connect with other people taking action, and to embody the love and care needed to shift our dominant culture here on earth. I’m not the only person doing this either. Just check out the list of speakers at Titirangi’s Earth Festival next Saturday, April 6th. All those people care, and they’re all taking action. Or take note of the climate marches that THOUSANDS of children and young people attended on March 15th across New Zealand. Check out the rapid rise of Extinction Rebellion around the globe. A shift is happening, and it needs you to join. Together, we can change the dominant capitalist, consumer, destructive culture. It starts by opening to the truth – painful as it might be – of what’s actually happening on our planet right now. Only through feeling what’s happening can we open to the wisdom to know how to respond. Do you want to get involved and do more? 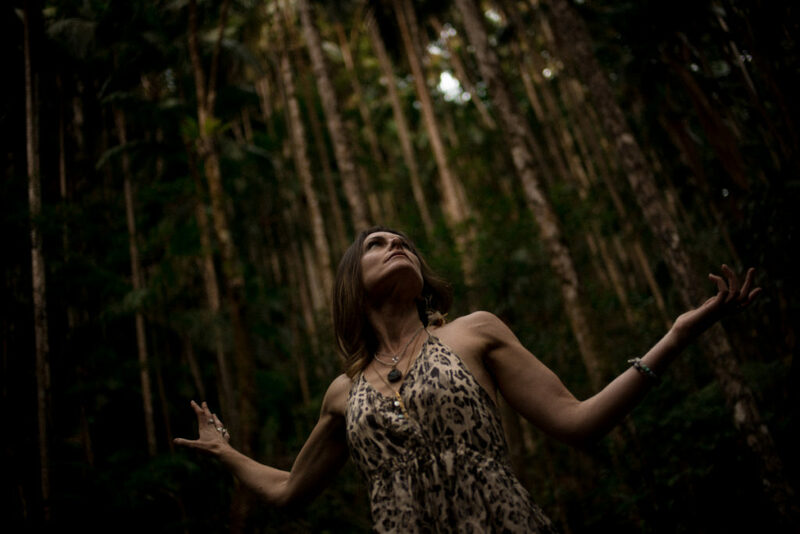 Join Kara-Leah at the Titirangi Earth Festival on April 6, 2019. She’ll be speaking in the Afternoon Symposium & Open Panel Discussion about ‘From Overwhelm to Inspired Action’. Get your tickets here. Announcing first Yoga in Action group in Wellington, New Zealand. These groups are an opportunity to build community around yoga and service, develop relationships with other yogis and activists in your area and collaborate on creating real change.